4 + 7 = ? : (Required) Please type in the correct answer to the math question. This morning Mavis was up early to go shelling after the big storm but pickings were pretty poor. 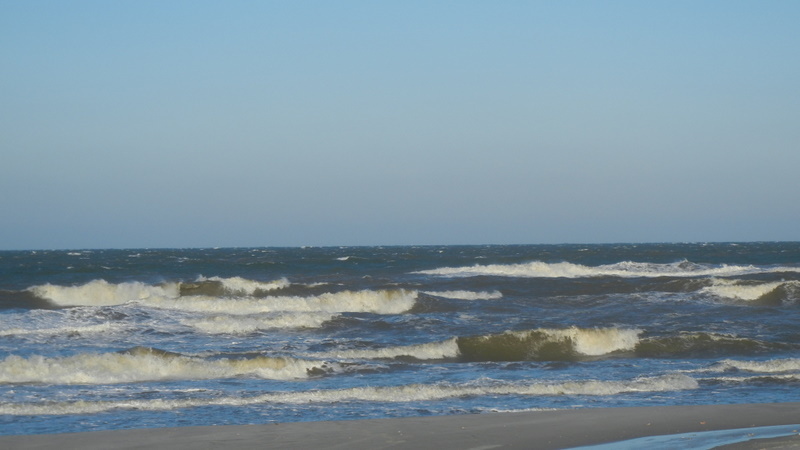 The sand was blowing, the surf was up, and I measured the wind peaking at 24.3 mph with my wind gage. 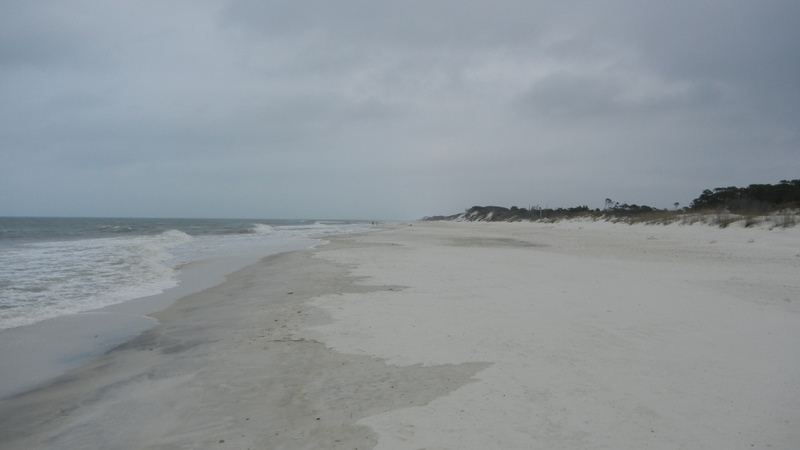 Grayton Beach State Park is the location of our annual View/Navion Rally. There about 48 View/Navions attending. We had a meet and greet at 4:00PM and tonight had a slide show at 7:00PM by a View owner that took his rig to Europe for 24 months over a 4 year period. He toured just about every country in Europe plus Russia, Turkey and Morocco.. Thankfully he didn't show all 50,000 of his photos in chronological order but rather had short sequences covering many countries showing the differences in road signs, markets, roads, and RV Parks. It was very cleverly organized. Unfortunately with the temperature at 54 degrees and dropping he lost muct of the audience by 8:45pm. We will be here until Monday when we head for home in Nashville.